We give you news of the thing. Then we give you a virtual thing that helps you with the thing. Then we give you a virtual thing for when you don’t have the thing with you or want a taste of the thing before you get the real thing. Or something. And we’ll keep this Ableton Goodies series going as long as people keep sending nice freebies and treats for Ableton users in our inbox. In our last volca-related episode, we shared some free control patches built in Max for Live that make automating and manipulating the volca series from KORG more convenient, built by my musical partner-in-crime Nerk of NERKKIRN. 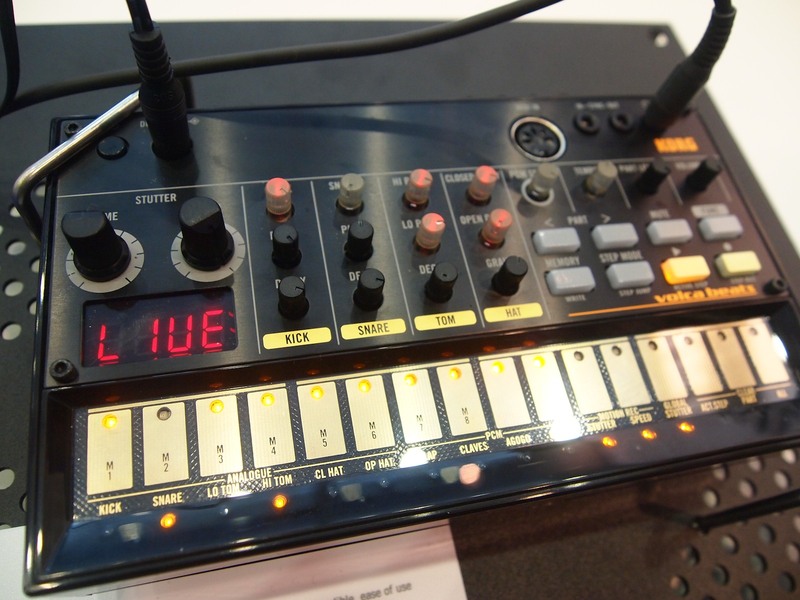 Now, here’s a Drum Rack that uses volca samples even if you don’t have the volca beats handy. And even if you do, you can manipulate some of those sounds in new ways – or fire this up when your AA batteries die, I suppose. As a bonus, there’s an effects rack calleum Smash!” – also free – that combines Saturation and Compression in a way that can be used creatively for drums or anything else. Who would do such things? Why, perennial friend-of-the-site AfroDJMac, of course. I don’t own any of these little guys, but Arthur Kaprelian does, and he was kind of to send over some samples. My first impression was “whoa this little drum machine sounds huge!” The file he sent over was about 6 minutes long worth of different drum hits. I sifted through them all and picked sixteen sounds and put them into an Ableton Drum Rack. If you are feeling adventurous, dig into the Project file, then the Samples folder, and feel free to grab some additional drum hits from there. Again, there are over 6 minutes worth of drums!